Only minutes from downtown, and on nature's doorstep. Looking east from the Skylounge on the 34th floor, Marina Del Rey offers a spectacular view of the Toronto waterfront. 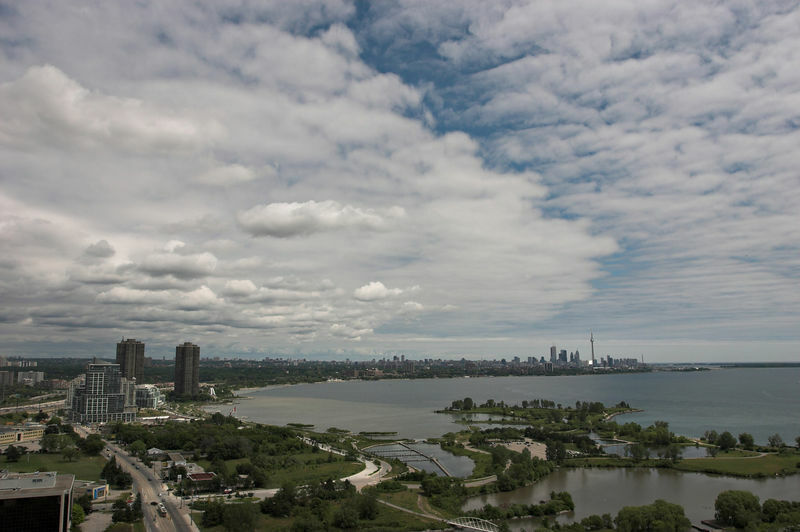 In the foreground, you can see the extensive Humber Bay parklands. 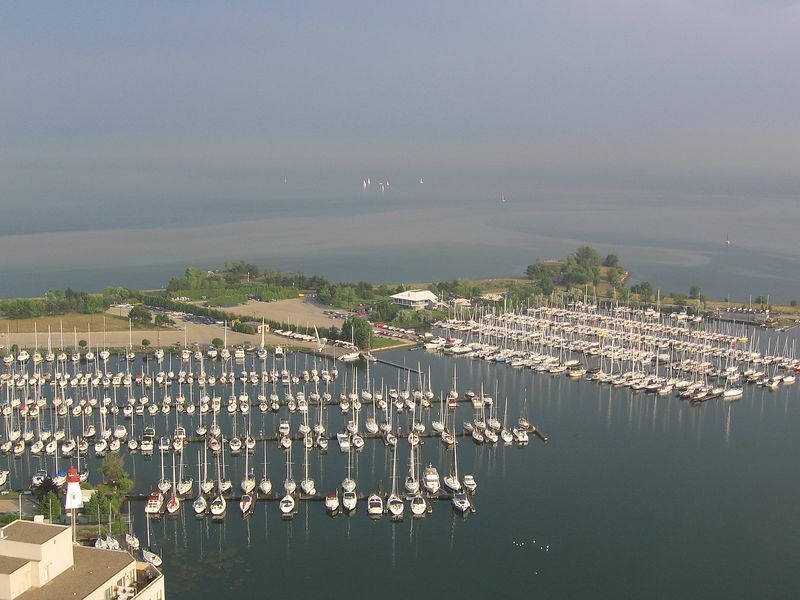 Looking south across Lake Ontario, you can see the marinas shared by the Mimico Cruising Club, the Etobicoke Yacht Club and the Humber College Sailing School. On a clear day, you can see Niagara Falls across the lake. 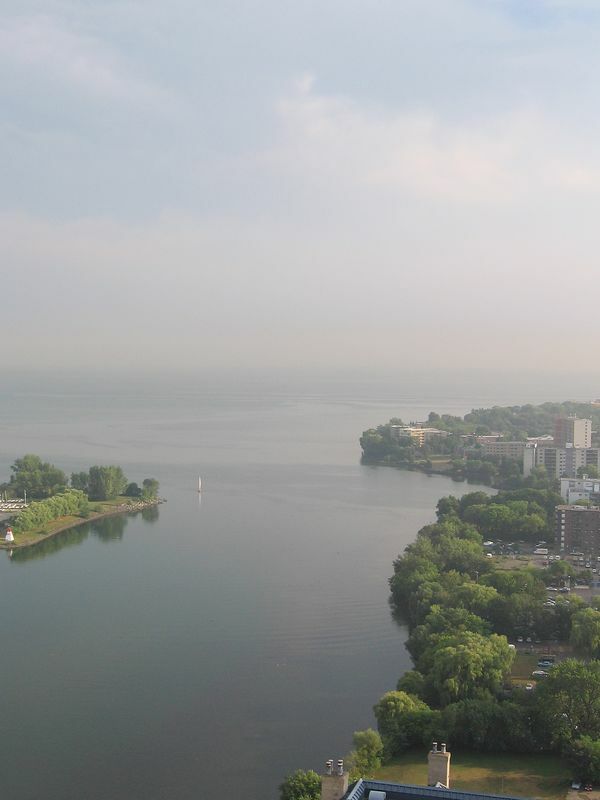 Looking southeast toward Hamilton, you can see the Mimico shoreline. Sailboats are heading out from the marina. 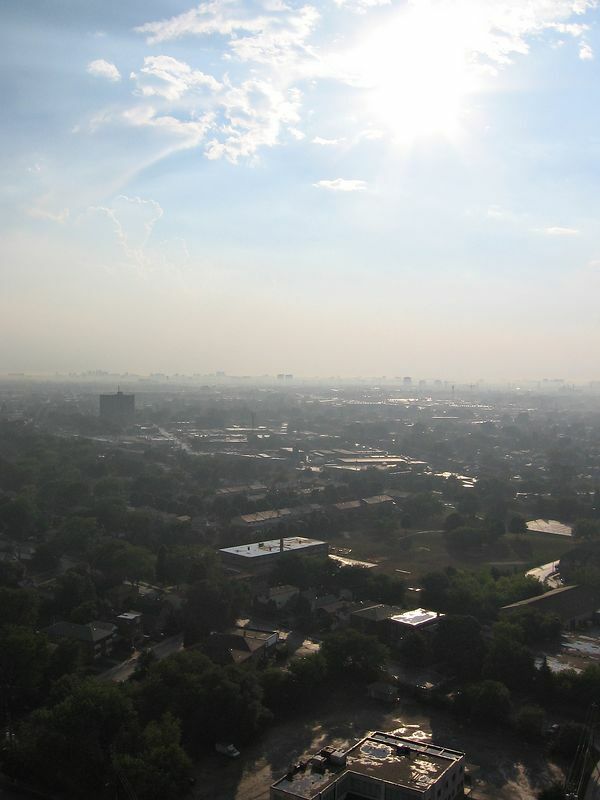 Looking northeast toward Pearson Airport. A panoramic city view. 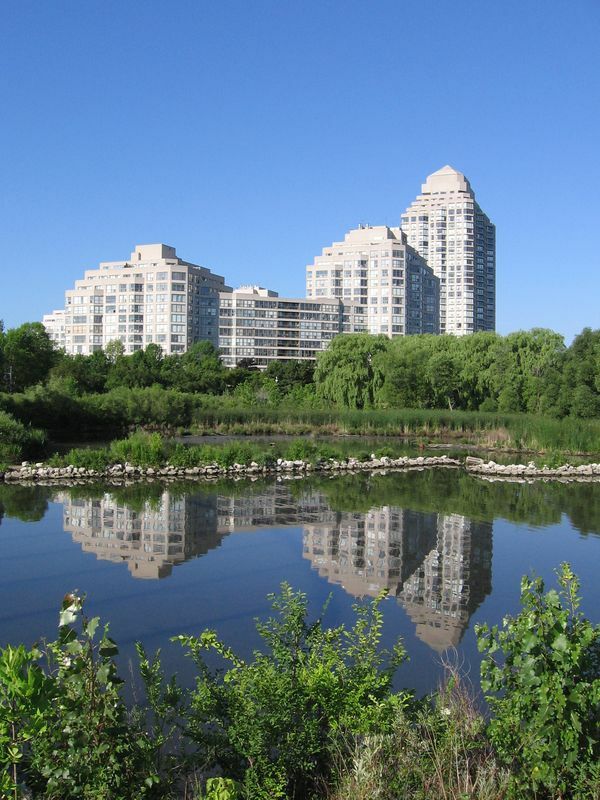 The Humber Bay Promenade, which takes you to the marina, is just outside the front door. 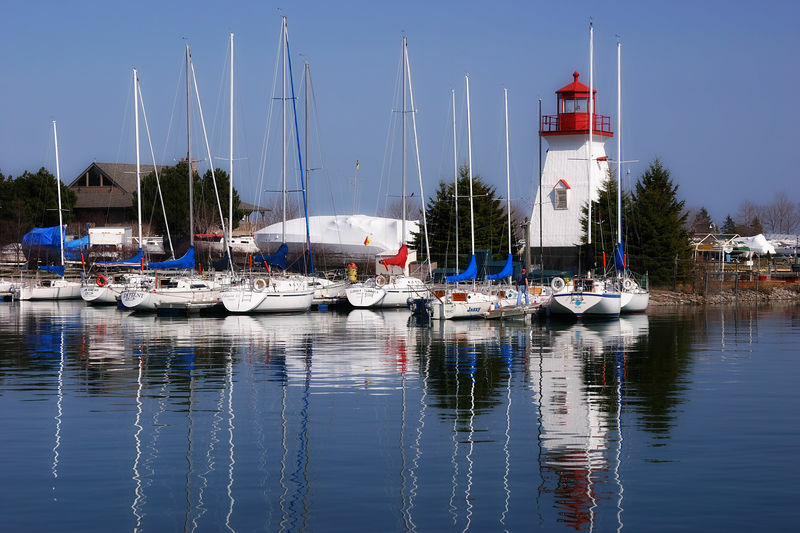 Mimico Marina's lighthouse and boats from the Humber College Sailing School. 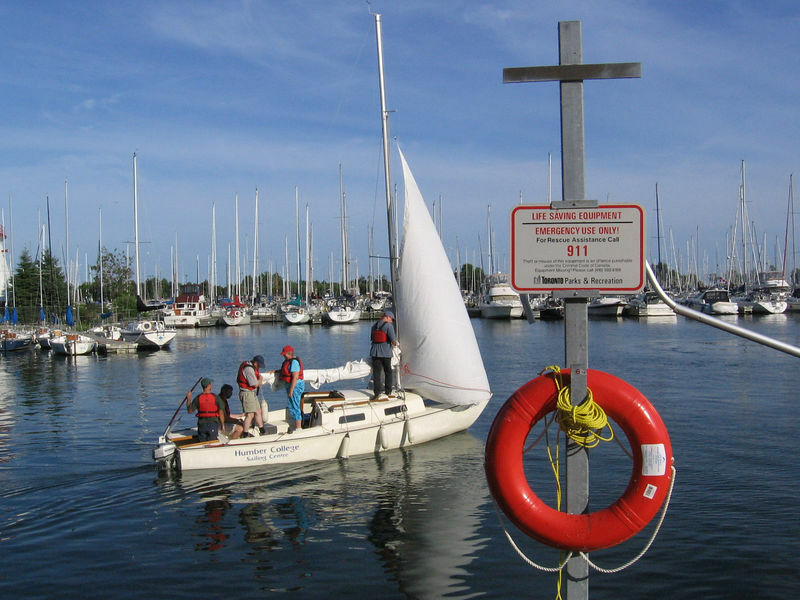 Sailing School students take a boat out for a sail. 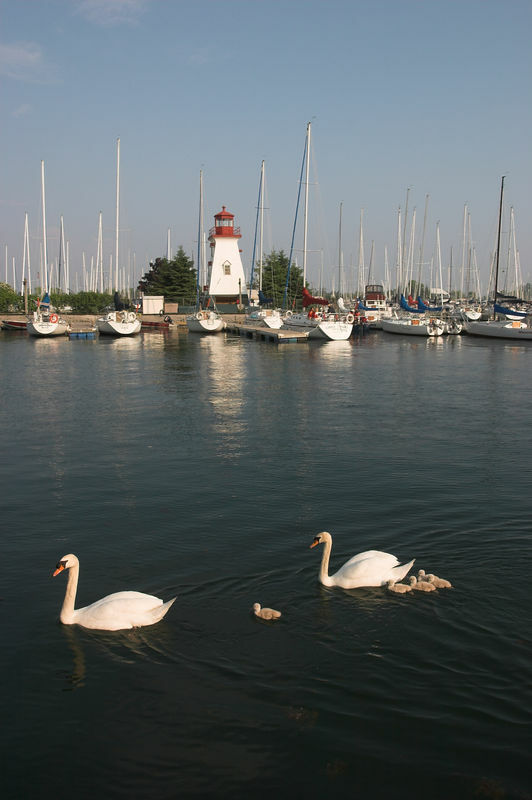 The marina is also home to a wide variety of waterfowl. These swans are raising a family here. 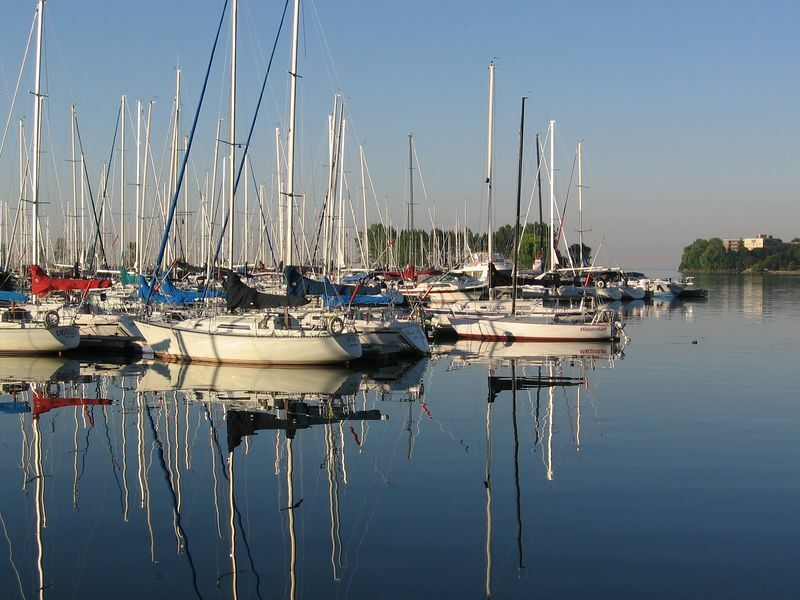 The sheltered marina is calm and peaceful. 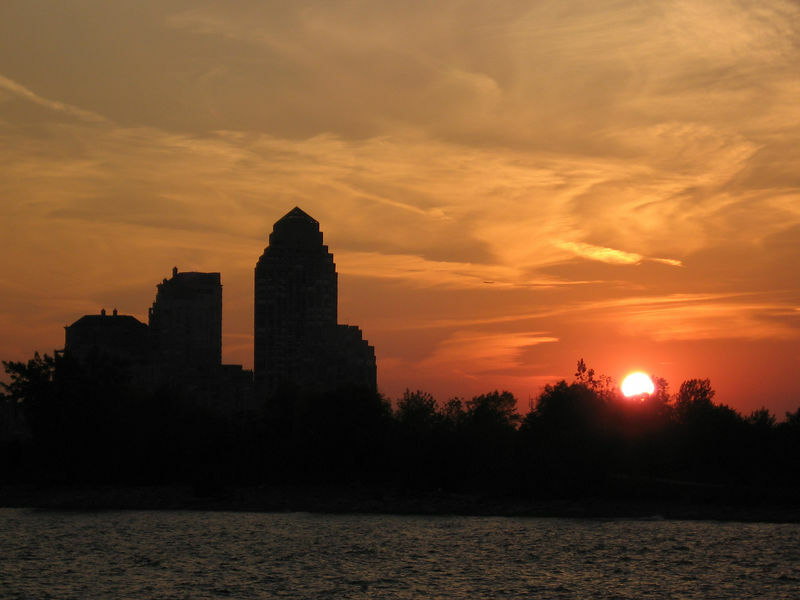 The gazebo at the western end of the Humber Bay Promenade is the perfect resting place on a romantic walk by the lake. 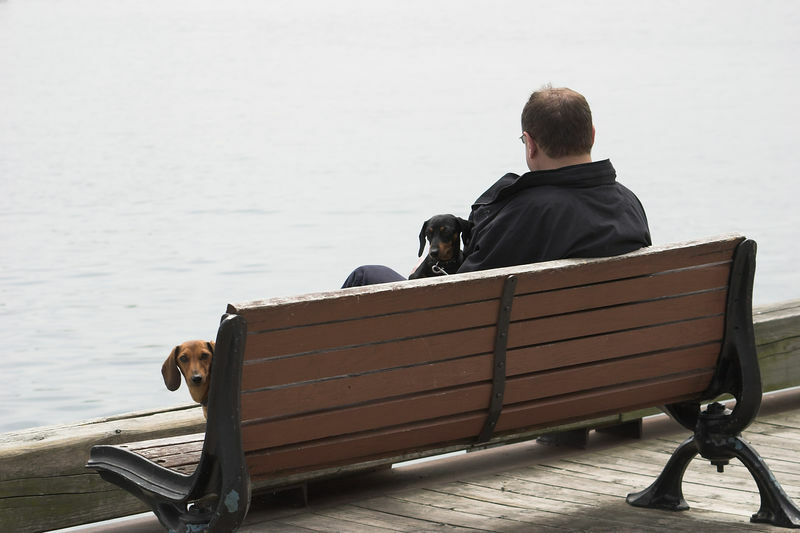 Pets enjoy a day by the marina, too. 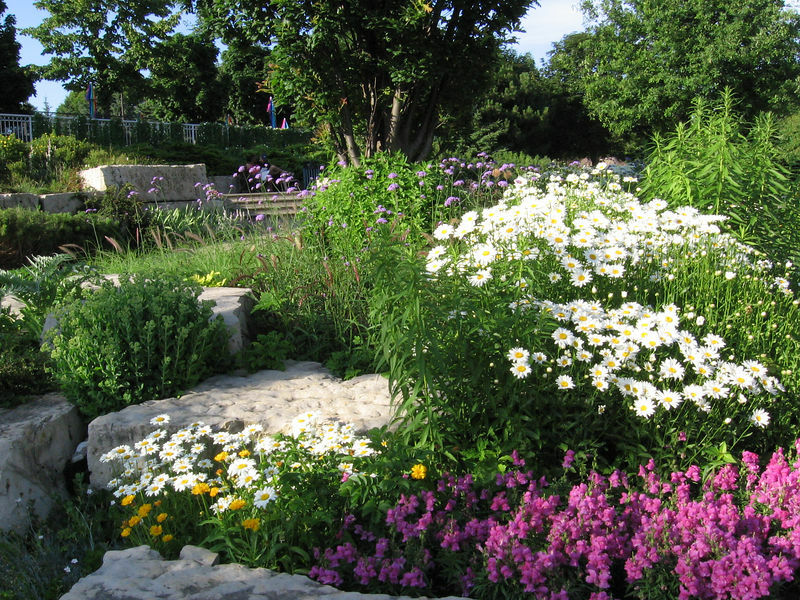 The City of Toronto maintains these beautiful flower gardens along the Humber Bay Promenade. The Humber Bay Promenade is connected to the Martin Goodman Trail, providing easy access by foot, bicycle, and inline skates. 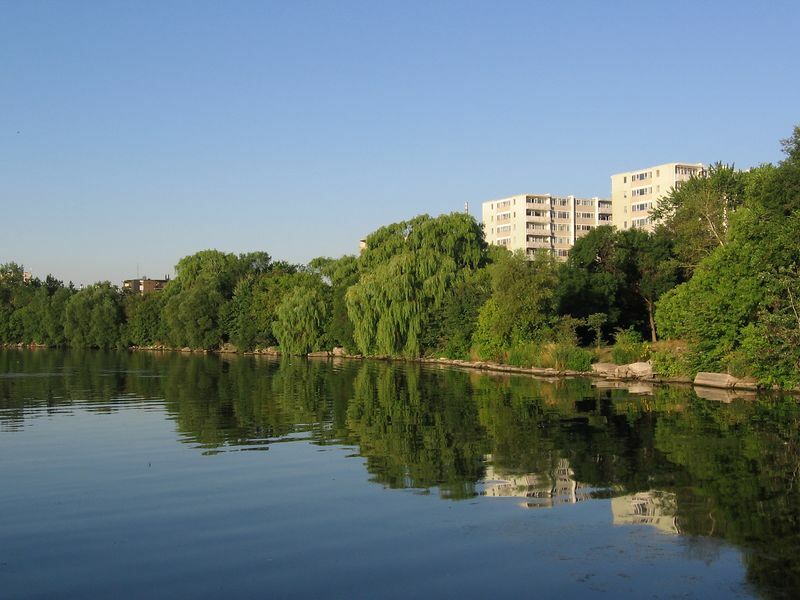 Nearby, Mimico Creek provides a natural wetland habitat, and a welcome escape from the city's bustle. 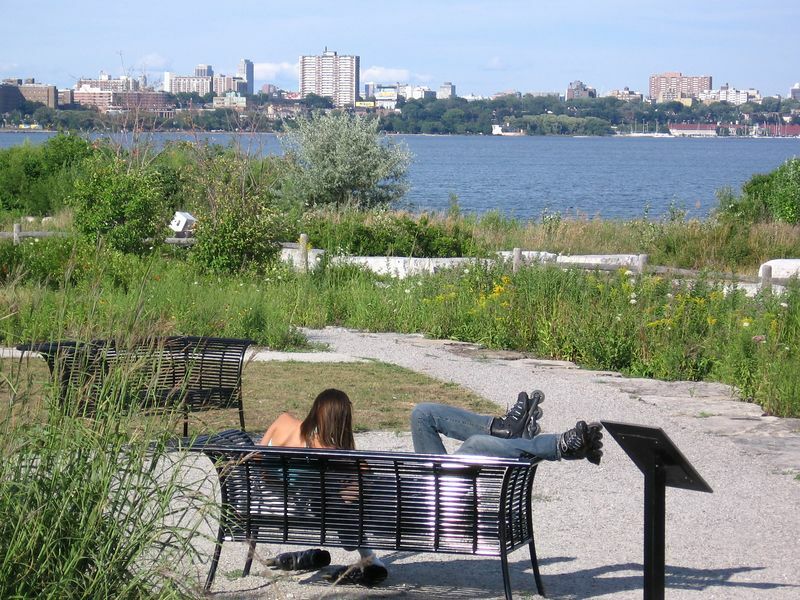 Nature lovers and birders will find a rich environment for their pursuits. Here, a Great Blue Heron stands in the shadow of the Marina Del Rey complex. Families can enjoy a day at the park without leaving home. 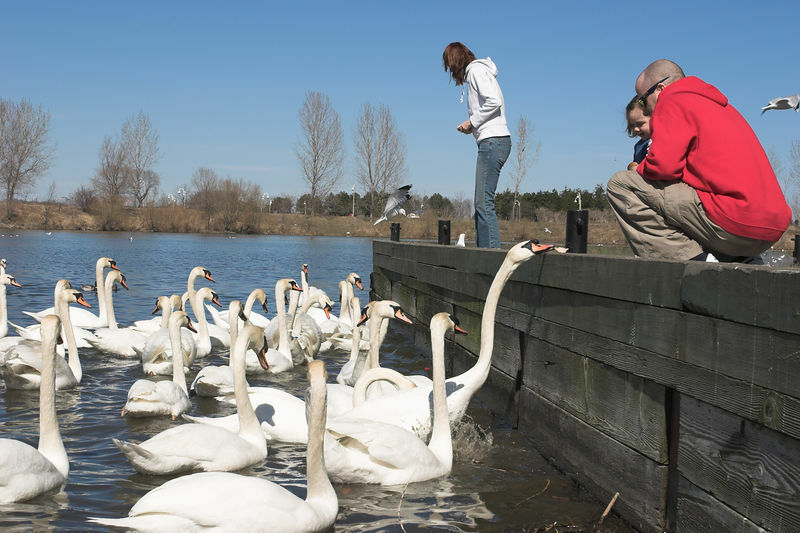 There are plenty of swans, ducks and geese waiting to be fed. Active couples can hit the trails for a day of inline skating, or enjoy a moment's rest in the park. 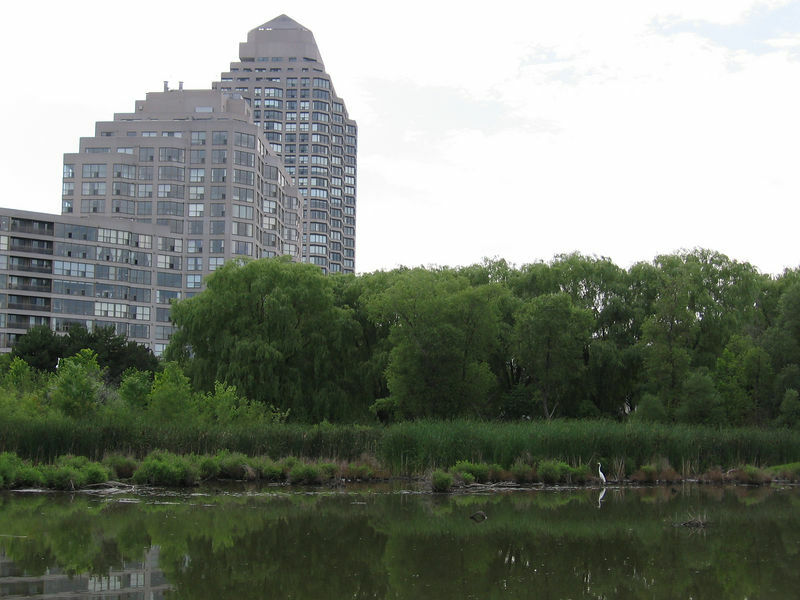 Humber Bay Park offers a spectacular view of the city skyline. 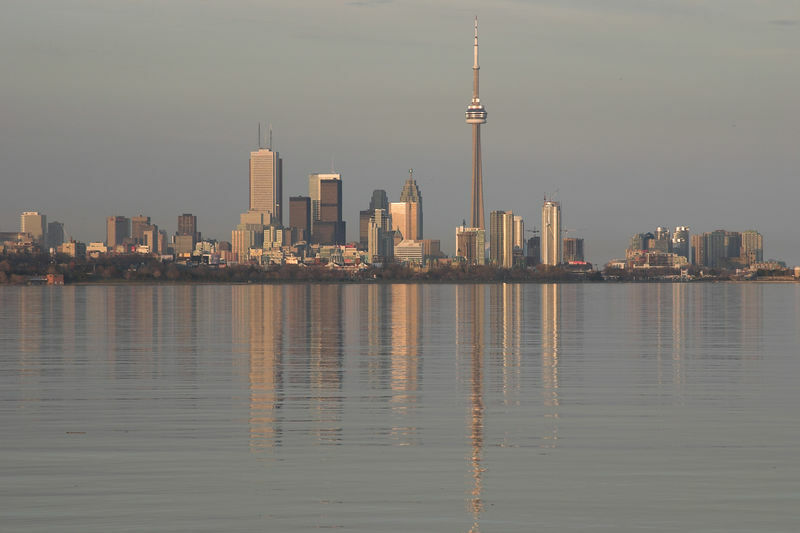 With handy access to Lake Shore Blvd and the Gardiner Expressway, you can be downtown in minutes. As the sun sets in Humber Bay Park, it's time to head back to Marina Del Rey. 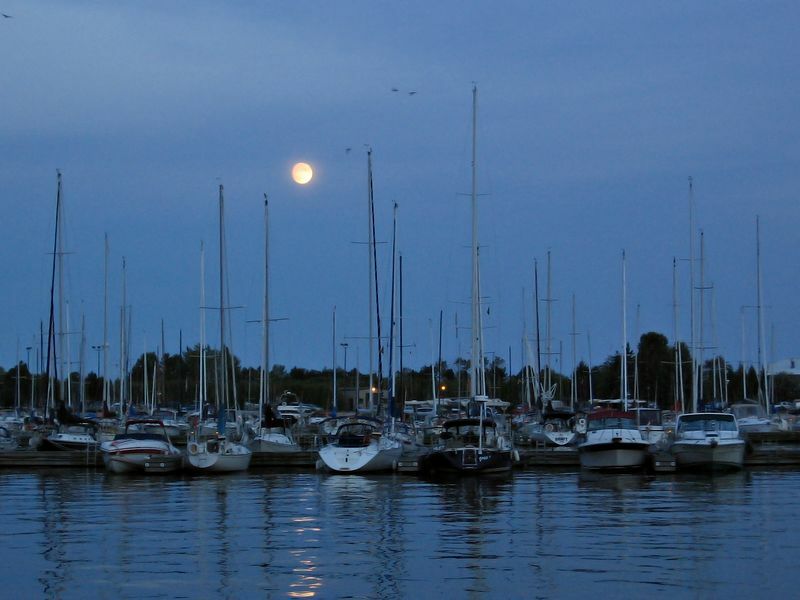 And as night falls, the full moon rises over the marina.